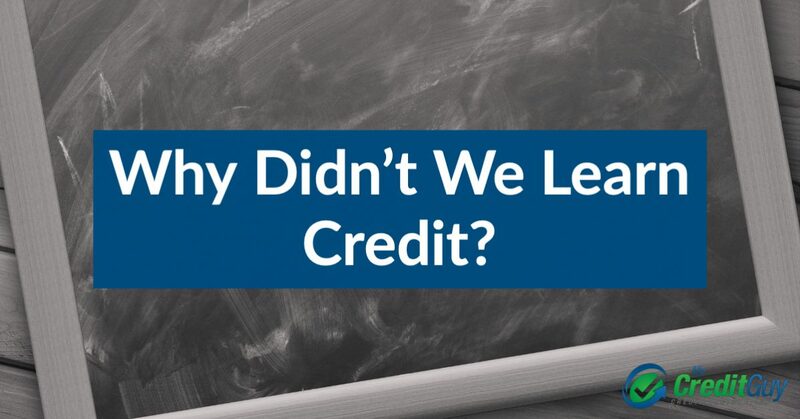 Why Didn’t We Learn Credit? From about the ages of 5 to 18, young people are expected to learn a variety of topics in school like the equation of slope, Western history, and the work of Edgar Allan Poe. Never in this span of time are credit, personal finance management, or other useful life topics discussed in the classroom. Many students are then thrown into the adult world equipped with little to no tools to help them successfully build their financial lives. With an empty toolbox and lack of knowledge, many young adults form bad habits, spend their non-existent money irresponsibly, and fall into the pits of predatory credit card companies. ∙ How do I properly manage credit cards? ∙ Is it best to leave a balance month-to-month to build my credit or should the full balance always be paid? ∙ What does it mean to be billed in arrears? ∙ How should I budget my money based on my living expense? ∙ Who are Transunion, Experian, and Equifax? ∙ And for the love of God, what the hell is Escrow? My name is Mattie Whitt and I help with the digital marketing efforts at My Credit Guy, a credit restoration firm who works hand-in-hand with mortgage companies. As a 21-year old almost out of college, I have yet to learn much about the financial system and how heavily it is embedded in my life. I’ve had great parents and other mentors who have helped me make smart decisions in terms of budgeting or simply money management, but I’ve yet to be exposed to confusing and not-so-simple finance system. Many people learn the world of finances by being immersed in it, like when buying a home, while others learn from the help of their parents, friends, and colleagues. There’s a large population of people who never learn and become too embarrassed to ask. My purpose is to answer all the questions we have about finances at every age while keeping things in a casual and fun manner. So yes, another Friends’ reference is bound to occur. So, join me as I discover how to adult and we can discover the world of credit together.